Wai Kin’s work is motivated by a deep interest in exploring intricate interactions of science and art. He is fascinated by people’s sensitivity to the environment or lack thereof. Through literature research and design intervention, Wai Kin has explored varies methods to generate interpretations and forms to highlight the interaction of nature and culture. 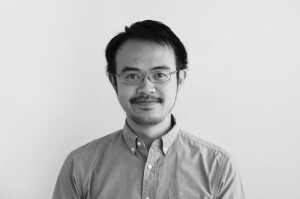 Wai Kin’s design sensibility draws from his Bachelor degree in Environmental Science and varies practical training he has undertaken when he was working as a bush regenerator in Australia. Upon joining Urban Initiatives, he has completed his master degree of Landscape Architecture at University of Melbourne. His strong GIS, drafting, and research skills help move projects through a vigorous design process.